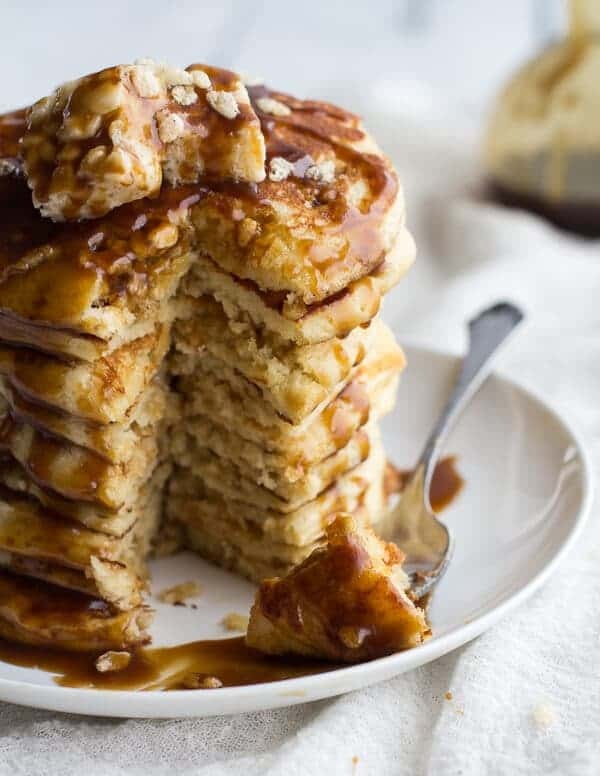 Rice Krispie Treat Pancakes with Browned Butter Syrup. I honestly do not know what has gotten into me. I take that back, I know exactly what has gotten into me. Right now my life is completely awesome, but also completely crazy all at the same time. It’s a good crazy, but it is still crazy, and my Sunday night/very early Monday morning was no fun. BUT today is all about fun. No Debby Downer talk. Which is why I am going to be telling you guys about maybe one of my craziest combos yet. A crazy tired brain apparently makes me think up crazy combos, but I have decided that I am totally onto something with these. I mean, Rice Krispie treat pancakes! Come on. I know, I know, I was doing so good with the healthy eating thing in January. I even posted a few healthier desserts. Hello delicious banana bread, chia shakes and dark chocolate coffee almond cookie bites. But it snowed all day yesterday, I was a little slap happy from lack of sleep and it was just a pancake kind of day. One of the very first things I started making for my family was pancakes, and when I say family, I really just mean my mom. 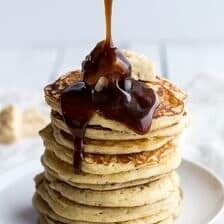 All through my middle school years almost any day that it snowed and I was home from school (or playing hookie) I made banana pancakes with chocolate chips……obviously with my mom, the chocolate chips where a must. This was moms all time favorite lunch (still is). Ok, crepes probably beat out pancakes, but I can’t whip up crepes as quickly as I can pancakes, so pancakes it was. Oh and yes, I did say lunch. Since I started cooking and baking like a gazillion things a day, I make a lot less pancakes. Yesterday even though I had plenty of delicious leftovers in the fridge and desserts on the counter and a list full of new things to make, all I wanted to do was make pancakes. Pancakes, pancakes and more pancakes. So, I let the kid inside of me out and just made some darn pancakes. And I when I say the kid inside of me, I really mean it. A few weeks ago I had Rice Krispies on the brain, but no solid ideas for anything new. Then last week for some reason I was thinking about milkshakes and I was like “Oh, I gotta make a Rice Krispie Treat Milkshake”. But then this post happened and well, let’s be honest, I cannot top spiked rice krispie treat shake shooters. I just can’t. I mean, those are awesome. So I put the whole Rice Krispie treat craving on hold. I just had no other good ideas. Until my slap happy brain decided that I had the energy (and time) to go for my early morning hike. And this is where the Rice Kirspie Treat Pancake was born. At first I went back and forth in my head about whether or not I should make them. What would people think? Is it a gross idea? Too little-kidish? I spent about an hour debating. Yes, an hour. I do this all the time. My brain needs some serious help. Finally, I just decided to go for it. Um….there is gooey, soft and melty Rice Krispie Treats in the pancakes. YES! They get a little caramelized and melty and it is so good. Best way to spend an hour of my Monday. And now you should spend a little of your Tuesday making pancakes. Really, you must. Especially if it is cold and or snowy and or both. My cousins in Cleveland already knew last night they were having a “snow day” due to frigid temps. There is absolutely no excuse not to make these on a snow day… and I promise you will be very happy you did! 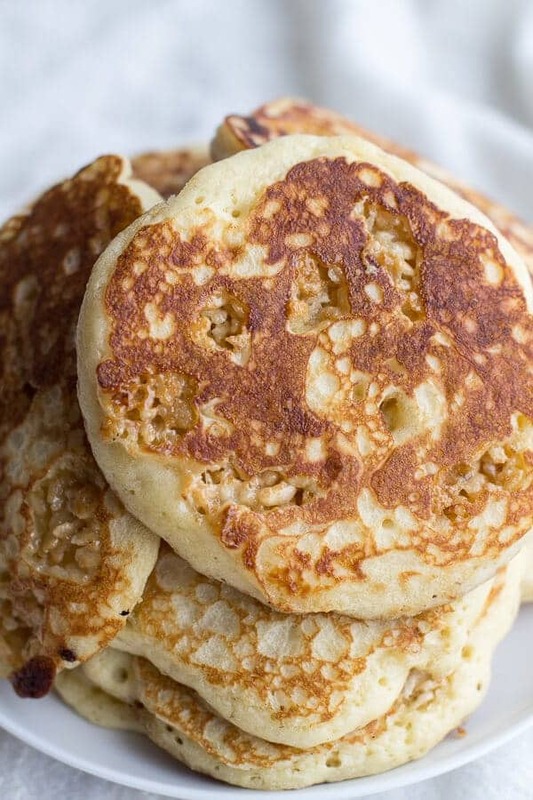 There is gooey, soft and melty Rice Krispie Treats in the pancakes. YES! They get a little caramelized and melty and it is so good. To make the syrup melt the butter over medium heat in a medium size pot. When the butter begins to foam remove it from the heat and slowly add the brown sugar, buttermilk, baking soda and vanilla. Whisk until smooth, return the pot to the heat and bring to a boil. 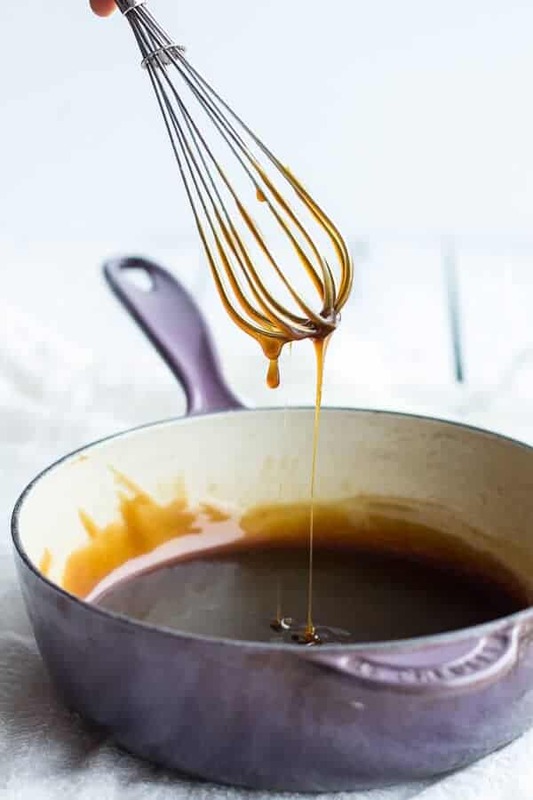 Allow the syrup to thicken slightly, about 2-3 minutes. Remove from the heat and set aside. 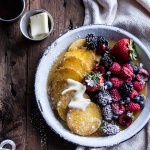 In a large bowl add the buttermilk ,eggs, vanilla and melted butter. Whisk to combine. Add the flour, baking powder and salt. Fold the dry ingredients into the wet ingredients until just combined. Line an 8x8 inch square baking dish with parchment paper. In a large, heavy-bottomed pot add 1 stick butter, melt butter over medium heat. Add the marshmallows and turn off the heat. Stir the marshmallows around until completely melted, about five minutes. If the marshmallows are not fully melting turn the heat back on to low and stir until smooth and melted. Grease 1/3 cup measuring spoon and scoop out 1/3 cup of marshmallows. Stir the 1/3 cup of melted marshmallows into the pancake batter. Now add the Rice Krispies to the pot with the remaining melted marshmallows and coat them completely in marshmallows. Press the mixture into the prepared baking dish (the treats will not completely fill the square pan). You just want one even layer of Rice Krispie treats. Tear away a few bits and pieces of the Rice Krispie treats and stir them into the pancake batter. Heat a skillet or griddle over medium heat and grease well with butter or cooking spray. Using a 1/4 cup measure, spoon batter into rounds. Tear a few more bits of Rice Krispies away from the square and place them on top of the pancakes, cook until bubbles form on top, about 2-3 minutes. Flip and cook for another minute or two more. Repeat with remaining batter. Serve the pancakes warm, drizzled with the butter syrup and a square of Rice Krispie treats if desired. Enjoy! Pancakes make the world a better place. 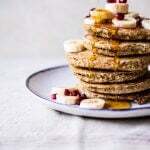 Ricotta Chocolate Chip Banana and Chia Pancakes. Favolosi! I love your blog!! 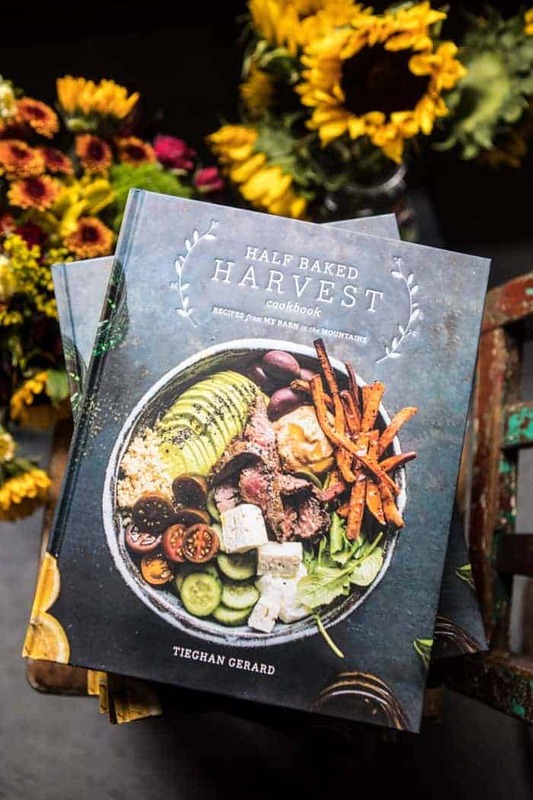 Tieghan, these are seriously incredible! I am totally drooling right now and I am about to go to the gym, but debating skipping and eating pancakes. I mean, they are whole wheat (<3!!) so it would be totally acceptable. 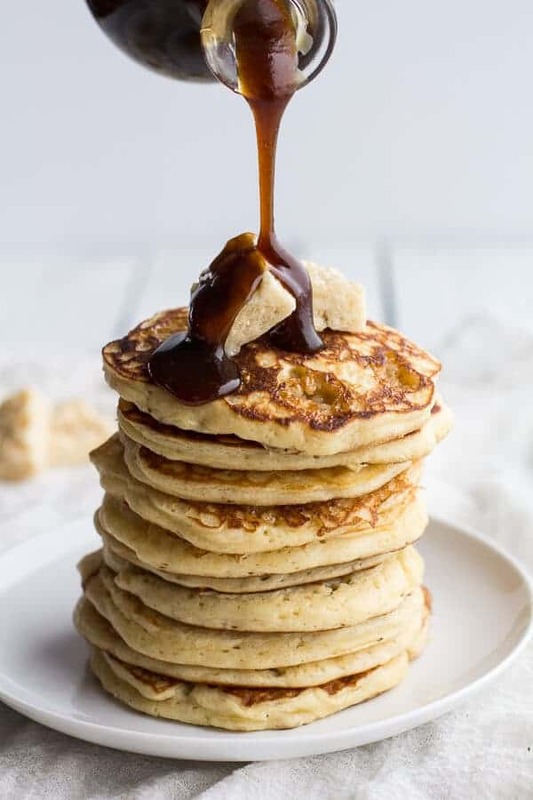 I am so glad you decided to go forth and make little kid pancakes, sometimes we just gotta pretend we are 5….and faceplant into rice krispie treat pancakes with browned butter syrup. Pinned! Haha! Thank you, Taylor!! Means so much! This recipe is literally the best thing that has happened to me today. Love where your mind is at! 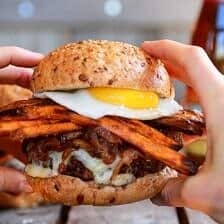 I’m loving all of your recipes! Shoot!!! Couldn’t save this again. I have been able to save some since I had problems earlier though. For some reason I did not get your rice krispie milk shake recipe. I clicked on it and realized I had not seen this one. I got it to save. Tried again. That is actually not my recipe, so do not worry you did not miss anything! 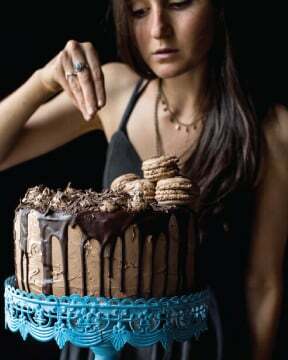 Although, you should head and check out Jessica’s recipe because it is amazing! I’m just having my morning coffee and want these soooo badly! Wishing I could have sent you a stack! breakfast food inside breakfast food. love it. Haha! Yeah, they are sugar coma kind of pancakes. Healthy dish tomorrow! This is crazy and awesome all at once! You never cease to amaze me. 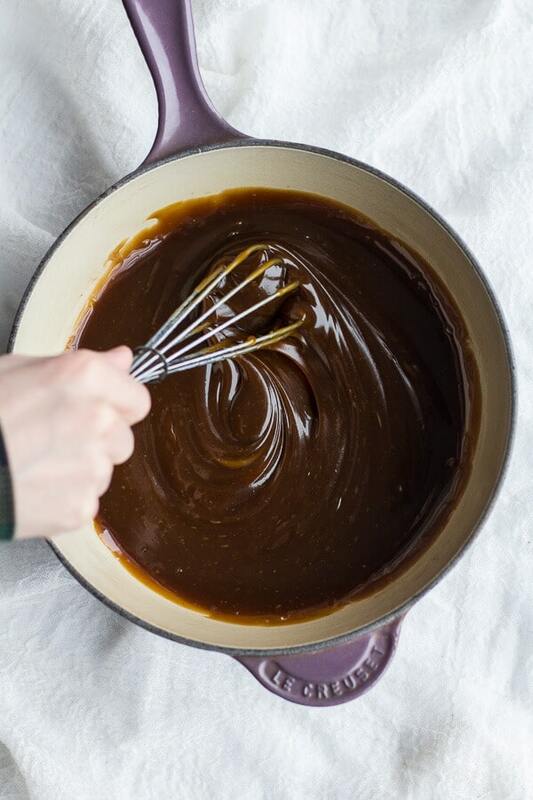 And the browned butter syrup yes please. Thank you so much, Rochelle! You are so sweet! ohhhh my gosh! definitely need to make these for my little guy =) YUM! 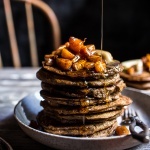 That stack looks like the perfect breakfast for me!! Thanks Julie!! They are super sweet, but crazy fun! snap. crackle. pop. I die. Pinning. 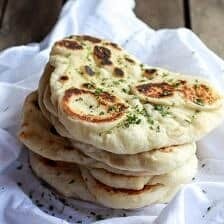 I need to make these gluten free and sugar free, but this is a challenge worth taking! Whoa! Thats a challenge! Make sure to let me know how it goes! What an ingenious idea! I’ve heard of putting rice krispies in cookie dough, but I never would have thought to use them in pancakes. Sounds like a winning recipe! 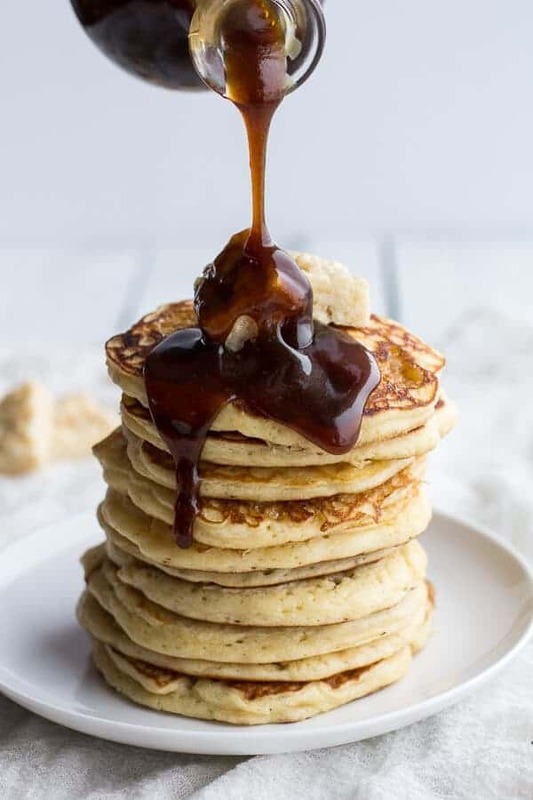 I could eat the brown butter syrup straight – don’t even need those fluffy, crispy pancakes! Sigh. Pancakes are one of the few things i have never been able to master. (I know…they are supposed to be easy.) If I tell my kids we are having pancakes, the look at me suspiciously and ask who is cooking. If I say I am, the suddenly lose their appetites, backing away like I am threatening them with an angry spider monkey. If I say, well, ANYONE else is cooking, they will happily eat their weight in them. 😛 Oh, well…these look great. I MIGHT have to give it yet another try! Wow! These pancakes are like, over the top. I love the idea of pancake/crepe lunches. <3 that is just amazing sounding. Thanks Abbie! And for the pin too! 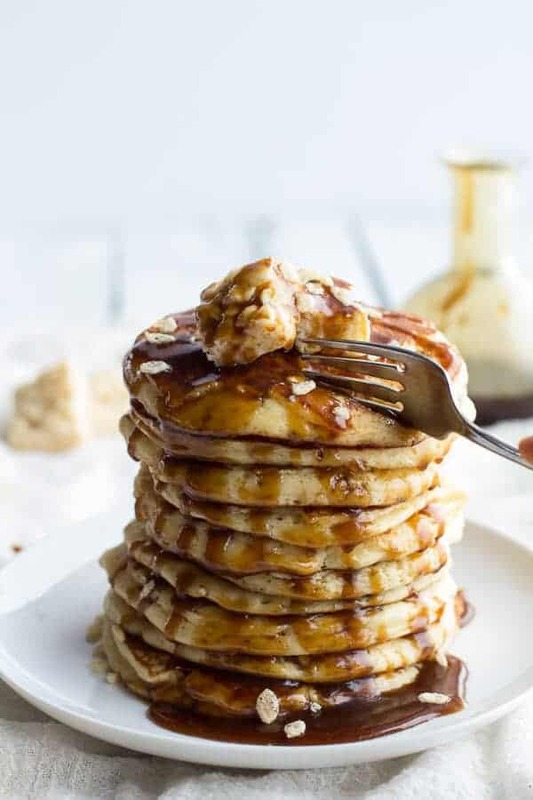 These pancakes look incredible and that browned butter syrup is to die for! Thank you! The syrup is pretty good! It’s like you know just what I’m craving before I think of it. 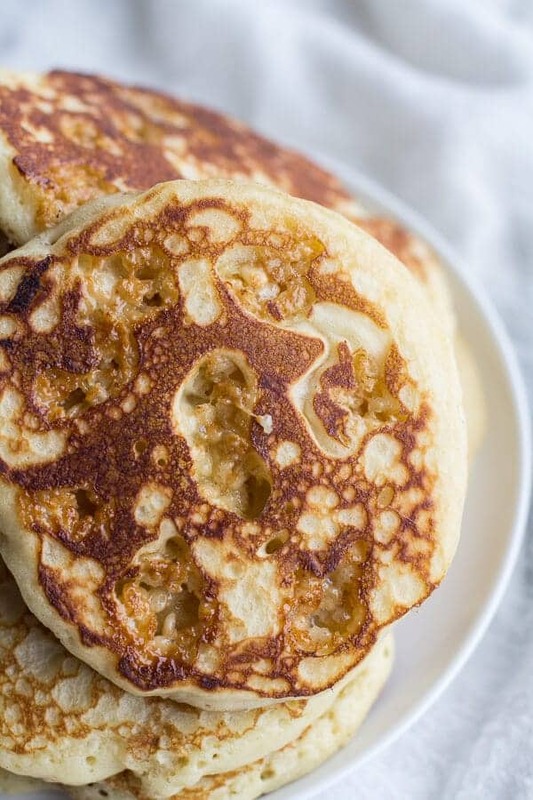 These pancakes are PERFECTION. Haha!! I seriously, seriously wish I could have serve you up a stack! I hear it is freezing over there and these are perfect for cold weather! Ummm . . . these are just awesome! And now I am starving! 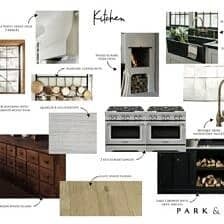 Sounds fabulous and so creative! And, oh my sweet lord, that syrup!!! 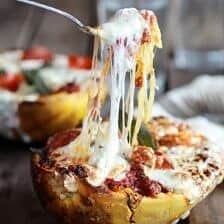 I very much enjoy your crazy thoughts – this recipe is freaking unreal in the best possible way!! This has to be the best breakfast on the planet! Haha! It sure is a sweet breakfast! I don’t even know what to say, except I love you. This is unbelievably awesome! SO happy you like it! Thanks Dorothy! Oh my gosh, how I’d love a stack of these cakes!!! They are fun treat for dessert! Amazingly delicious looking!! I am totally drooling. You put the treats in the pancakes! This is a kid’s dream, not to mention the kid-hidden-inside’s dream, too. Oh my GOSH you brilliant lady!!! 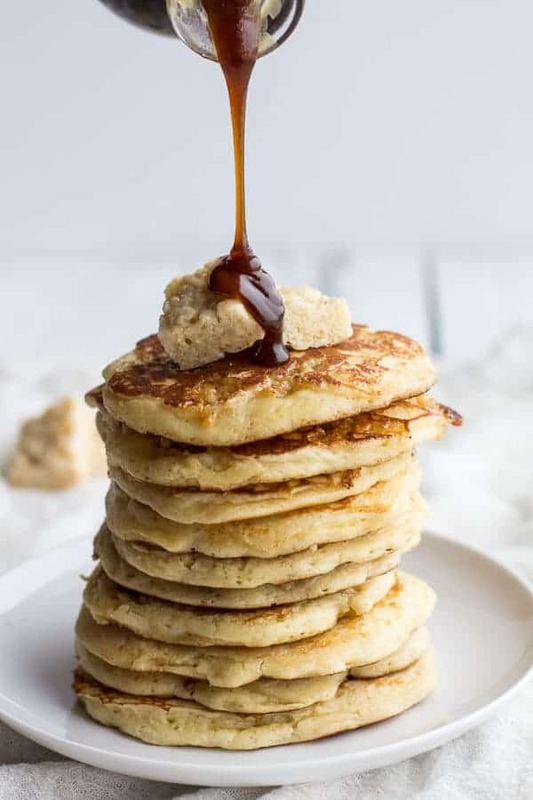 There must be something in the water because I was literally JUST pondering rice krispie pancakes this weekend…but I kept going “but would they be gross?” So thank you for taking the plunge and letting us know that they are delicious! (They look sooo super amazing!) And the syrup is just genius. Love love love!! Looks really yummy! 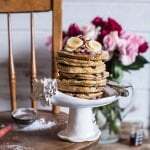 I am thinking of making them for Pancake Tuesday, but I want to make a few types of pancakes so I want to make as much ahead of time as I can… can this batter be made a head of time? Or does the addition of melted marshmallows mean the batter can not be made ahead of time? Hey Lynea, I am honestly not sure. I am going to go on the safe side and say make these only a couple hours in advance at most. I am not sure how the marshmallows would hold up if left in the fridge overnight. Let me know if you have any more questions and I hope you loved these! Hi! To subscribe just go to the home page and the place to put your email is on the left-hand side! Hope this helps! The recipe was unclear, and there was way too much butter involved. Definitely needs updated measurements. Regular visits listed here unit the only technique to grasp your energy, that is why why i’m progressing to information superhighway web site everyday, checking out new, fascinating data. Many, thank you!